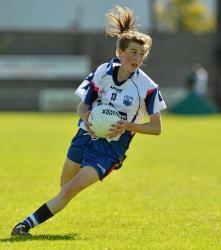 There are plenty familiar College faces amongst this year 2015 LGFA TG4 All Star Award Nominees which have been announced. The TG4 All Ireland Finalists, Cork and Dublin are both well represented in the 45 player short list with the TG4 All Ireland Champions receiving 11 nominations whilst Dublin have 10 players nominated. Galway and Kerry both receive 5 nominations each with Monaghan and Donegal receiving three each. Waterford are rewarded for their TG4 All Ireland Intermediate championship win with 3 nominations including team captain Linda Wall and her sister, Aileen with Maria Delahunty also receiving her first All Star nomination. 2014 Playerâs Player of the Year, Caroline OâHanlon, is nominated for what would be her fourth All Star Award and is joined by team mate Aimee Mackin who earns her first nomination. Mayo great, Cora Staunton, is nominated for what would be her 10th All Star award, should she receive an award on November 14th she will become the joint most successful All Star award bringing her level with Kerry great, Mary Jo Curran. 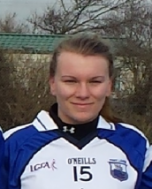 Fiona McHale is also nominated from Mayo with Ãine Tighe of Connacht Intermediate champions, Leitrim, also nominated. Corkâs Martina OâBrien is nominated for her first All Star award in the goalkeeping position along with Dublinâs Ciara Trant and Linda Martin of Monaghan. Marie Ambrose is rewarded for a fine debut season with her first nomination where she is joined by team mates Vera Foley, Geraldine OâFlynn, BrÃ­d Stack and Deirdre OâReilly as the Rebellettes defensive Award nominees. Briege Corkery and Rena Buckley created history as they claimed an incredible âdouble doubleâ of All Ireland wins and both are nominated in the midfield positions, their 8th and 4th respectively. All Ireland winning captain Ciara OâSullivan is joined by her attacking team mates Annie Walsh and Valerie Mulcahy in the All Star shortlist. Dublinâs Sinead Goldrick could claim her 4th All Star in a row with team captain, Lyndsey Davey and Noelle Healy hoping to make it back to back wins. Sinead Finnegan, Sorcha Furlong, Muireann NÃ­ Scanaill and Niamh McEvoy all receiving their first nominations for an award. 6 members of the Cork team have now won 10 TG4 Senior All Ireland titles and all 6 are nominated for an All Star; Geraldine OâFlynn, Deirdre OâReilly, BrÃ­d Stack, Briege Corkery, Rena Bucley and Valerie Mulcahy.